At Denegri & Associates we go beyond tax preparation to help our clients prepare for the future. We offer individuals and families in Sonoma County a variety of valuable tax planning services including retirement planning and wealth management. Sonoma County CPA firm Denegri & Associates has extensive experience helping high net worth individuals minimize their tax liability and can help you with all your tax planning and estate planning needs. Regardless of your station in life, you should have a comprehensive estate plan that matches your goals and protects your assets. We take the time to explain the options carefully so that each of our clients has a clear picture of their financial standing. 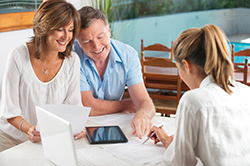 Want to discuss our individual tax planning services in more detail? Contact Denegri & Associates at (707) 546-1484 to schedule your free initital consultation today.